Happy Thanksgiving, everyone! It's so crazy how close we are to the end of the year. I just wanted to give a special thanks to everyone who has read my blog posts since day one, I'm thankful for each and every one of you! 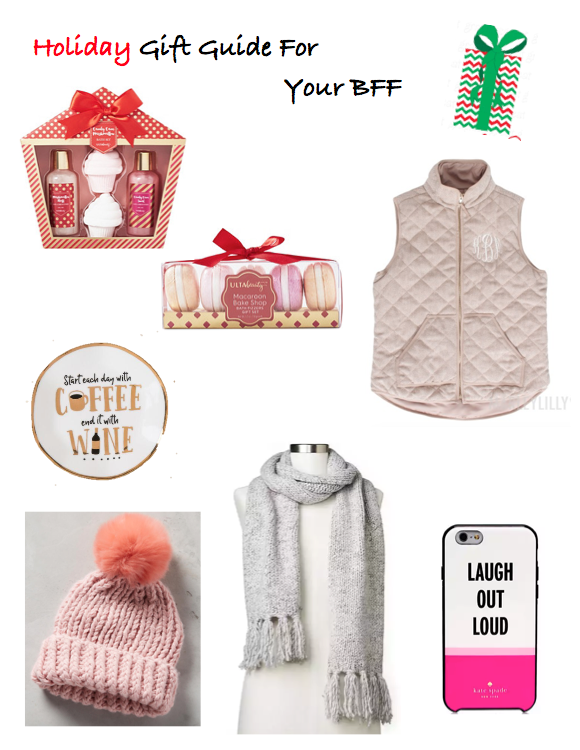 In light of the holiday season and being hours away from blowing all of our money on sales, I threw together some perfect gifts to purchase for your bff. Shopping for Christmas gifts for my best friend's is my favorite thing to do--it's so easy and I love all the cute gifts I'm able to snap up. Hope you all have a wonderful holiday and eat up!